The newest frigate of the Northern Fleet of Russia “Admiral Gorshkov” passed the English Channel. As always, the British media nervously reacted to this event. So, the newspaper The Times reported that the crew of the Russian frigate allegedly held anti-sabotage exercises near the coast of Scotland. At the same time, the publication frightened its readers by the fact that the “insidious Russians” equipped their ship with an optical device that caused hallucinations among the enemy seamen. MK figured out whether the fears of the British were justified. A squad of warships, which included the “Admiral Gorshkov”, on the way to the Atlantic passed the straits the usual route. As always, nobody was touched. However, once again served as a pretext for informational hype in the Western media. At this time, all are outraged by the new “miracle weapon” that causes hallucinations. Officials of the fleet to comment on the “MK” situation did not. They said only that they are not going to dispel “someone’s fears and hallucinations.” Like, if they want to be afraid – we will not interfere. In turn, the famous psychiatrist Mikhail Vinogradov, who specializes in assessing the actions of people in various extreme situations, told MK that the effect of the light flickering with a certain frequency on the organs of vision and human consciousness has been known for almost a hundred years. Directional exposure of such rays can cause different reactions of the body, up to stomach upset and hallucinations. – Of course, the distance of the object of impact is of great importance. At a distance, the effect of light stimuli is waning, the specialist said. Military expert Alexei Leonkov told MK that the attention paid in the British media to the shipborne visual-optical noise system Filin was too exaggerated. – This is a complex of secondary importance. It is not clear why he was paid so much attention. 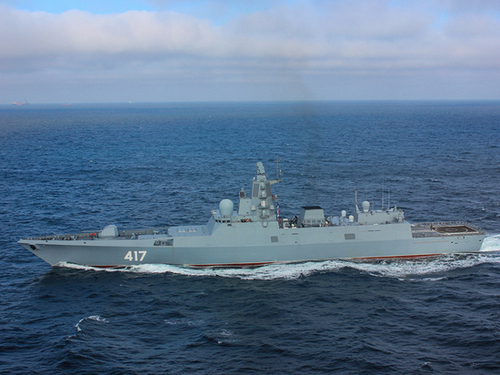 The ship’s combat capability is determined primarily by strike complexes, as well as air defense, anti-mine and anti-torpedo action complexes, said Alexei Leonkov. – It’s unprofessional to talk about the frigate of Project 22350 and not to mention its main armament, the Caliber missiles. This is the same as assessing the tank’s combat capability by the presence or absence of a bathroom on its board. According to him, the device “Filin” has a limited range. It is applicable in the line of sight – up to two kilometers. “In bad weather, its efficiency is almost zero,” said the expert. – On the other hand, in our arsenal there are much more powerful means of influencing the optics of the enemy. For example, lasers. One way or another, the Filin system has fulfilled its task: it has generated hallucinations of the British media and their readers. Drew attention from the “Caliber”, capable of hitting targets at a distance of many hundreds of kilometers. By the way, the frigates of the project 22350 in the future may become carriers of hypersonic Zircon missiles, the development of which was recently told by Vladimir Putin. And this is no longer hallucinations.